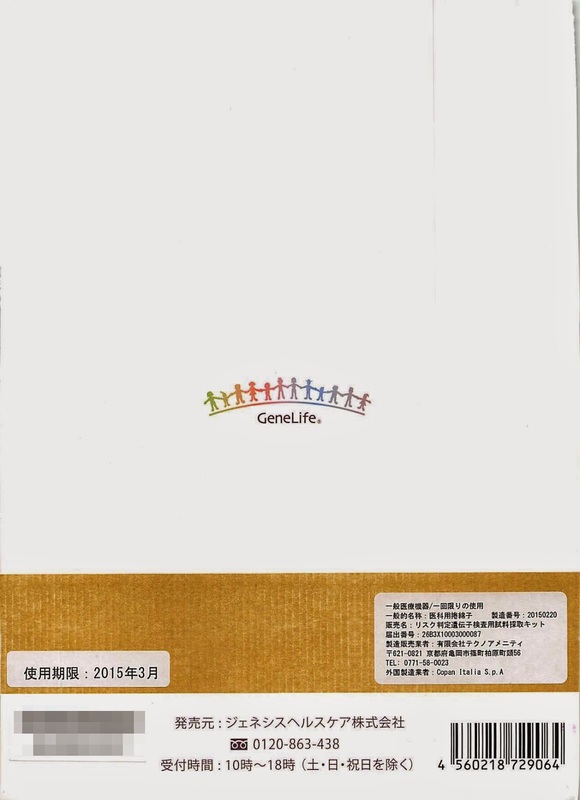 With only 500 JPY, I bought a gene testing kit to check alcohol flush reaction despite I knew the result already from 23andMe (ALDH2 gene). I am very surprised with the price and was curious about the DNA extraction kit the company is using (it is incredible cheap). 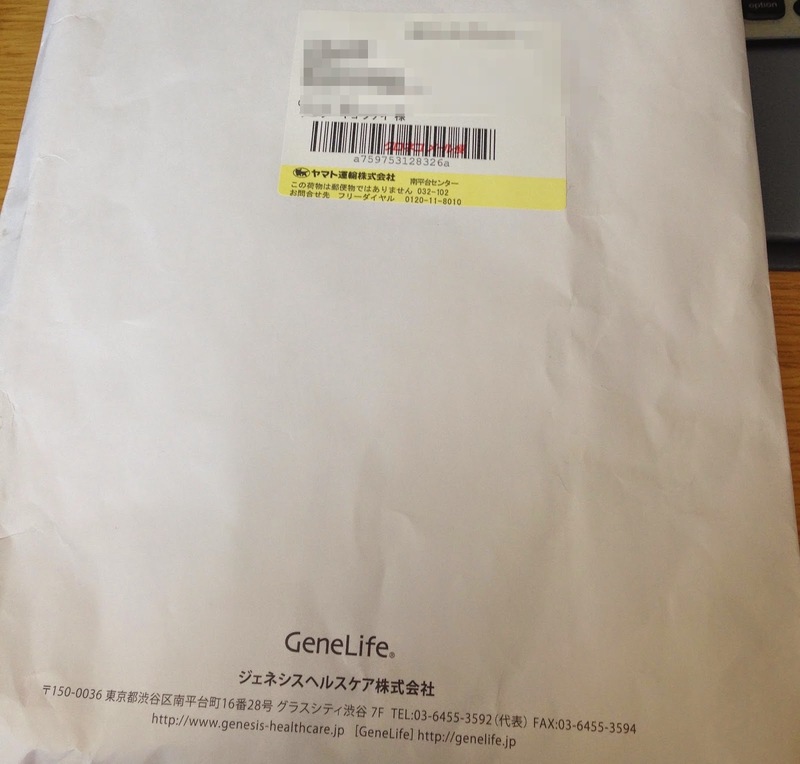 A couple of days later, I received a big envelope containing the testing kit from GeneLife. This is what insides the envelope. There is a catching phrase - My DNA, My Lifestyle. 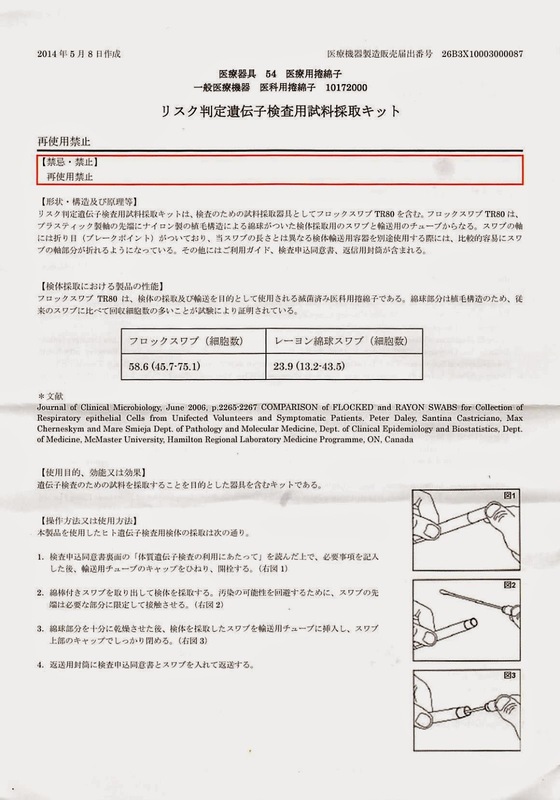 Open this one, there is a long round tube with barcode, which contains a swab. 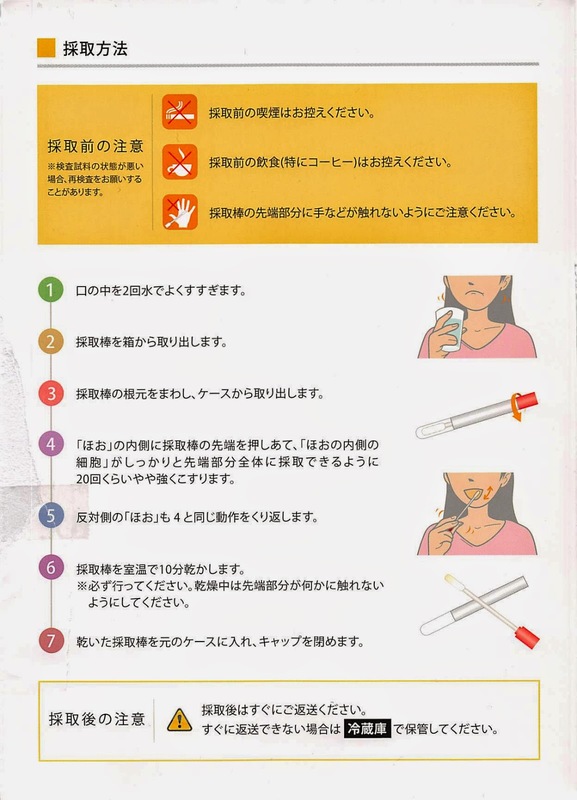 Below are the detailed information about the swab. and register the swab's barcode number. 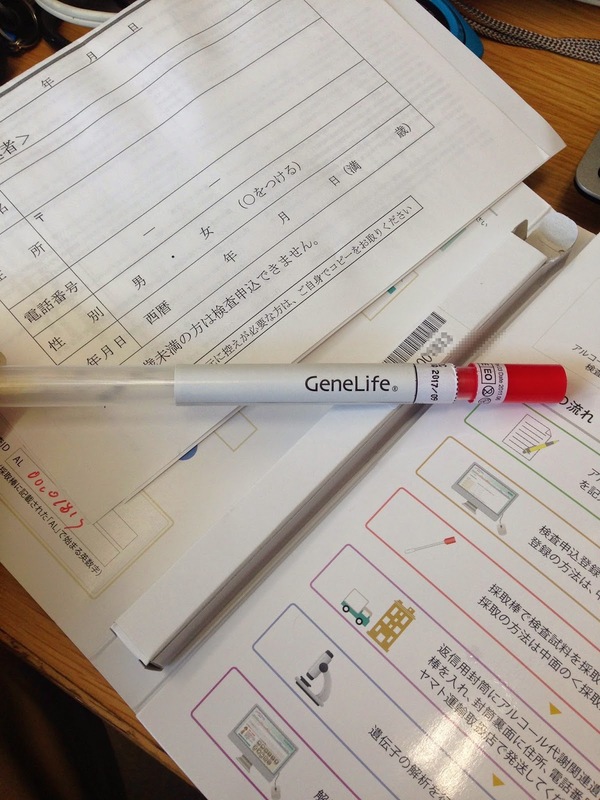 After took cells from mouth, the swab stick was air dried for 10 minutes and put back to the tube. 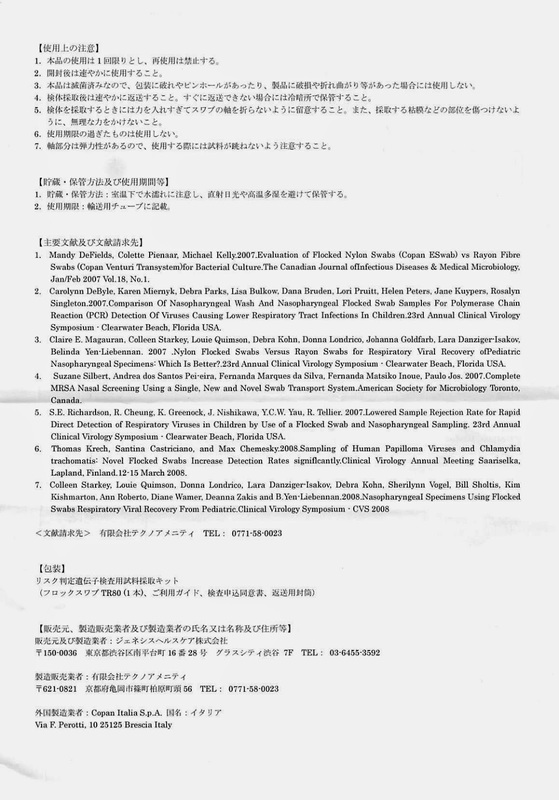 The company also provide the pre-paid envelope to send back the sample. Well, that is all, pretty simple and straight forward. 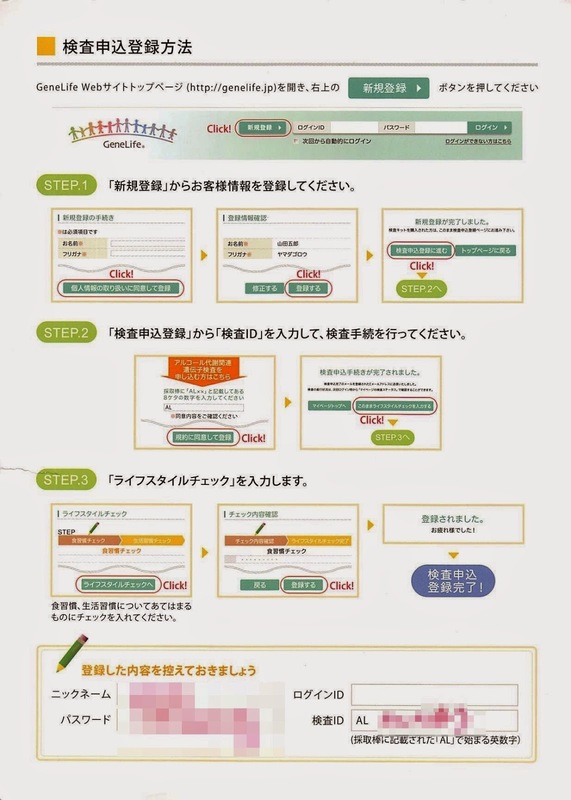 at 2015-04-09, I received an notification email telling me that the examination has been done and the data will appear soon at the website. The whole process just took 1 week. Impressive.